A fresh, rich mouth filling palate with positive freshness coupled with even handed wooding ensure a crisp clean finish and lingering after taste. Sumptuous and enticing as always, the nose shows delicious aromas of mandarin skin, peach blossom and white pear. Delicate perfumed jasmine flower follow (classically identifying it as Eagles Nest.) and a hint of papaya (paw paw). 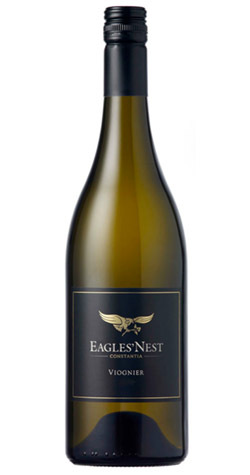 A fresh, rich mouth filling palate, tell-tale Viognier spices entice and engage the senses. Positive freshness (suggest longevity) coupled with even handed wooding ensure a crisp clean finish and lingering after taste. Enjoy now or to 2024. The 11th crop off fourteen year old vines in two north easterly facing vineyards on the farm. All grapes were carefully hand-picked and transported to the cellar where they were cooled overnight in a specialised cooling room to 5oC. The following morning the whole bunches were placed in a pneumatic bag press and gently pressed recovering about 60%. The juice settled overnight in a stainless steel tank, after which only the premium clear juice was racked off to 30% first fill 500L barrels 30 % second and 40% third fill French oak barrels. The fermentation temperatures were relatively low, peaking at 18oC. During the wine’s maturation in barrel, it received a fortnightly battonage and topping up. After 7 months maturation the barrels were blended together and the wine was allowed to harmonize before being bottled.